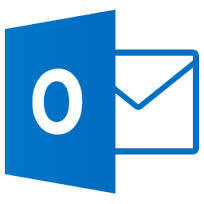 In October we began this series with Tips and Tricks for Outlook 2013: General Shortcuts. Now we move on to the most popular feature: email. When I’m working, I have the tendency to get “in the zone,” especially when I’m writing. At those moments, the mail pops up are concentrations worst enemy. More, than once, I’ve been tempted to close my email and block out the world. But that’s not always an option, and you still want to get notified of the most important alerts. In Outlook, set desktop notification only for those VIP messages. Essentially, first you’ll turn off all desktop alert under the Mail Options, then create an Outlook rule to display alerts for messages from specific people sent only to you. Use email template to never write the same email twice. For those emails you send often, such as request for information or reminders of due invoices, save the email as a template via File > Save As… > Outlook template. Then, to use the template, go to New Items > Choose Form… and look in you “User Template in File System” to browse for the template you saved. Or, even quicker, double-click the OFT file from Windows Explorer to create a message from that template. You can also use text expansion to accomplish this across any program on your computer. On the same track, If you regularly need to trot out a standard passage of text, you can save it as a Quick Part for easy insertion into your emails. Simply highlight the text in the composer window, then switch to the Insert tab, click the Quick Parts dropdown and select “Save selection to Quick Parts gallery”. In future, when you start typing the phrase, you’ll see it pop up as a suggestion – hit return to insert it in full. You can also select your text with the mouse from the Quick Parts dropdown. Right-click on it for placement options, or to edit and manage Quick Parts and other “building blocks”. One of the best tips is to use a special “Inbox-CC” bolder to gather all the emails that aren’t sent directly to you; that way, the inbox is focused on only the most important emails. To set this up, go to Rules > New Rules… Then click the “Advanced Options: button. In the Rules Wizard, select “where my name is not in the To box” and then in the next screen “move it to the specified folder.” Alternatively, set up a VIP email folder and move “emails send only to me” into that folder. What are your most frequently accessed emails? Maybe they’re emails from your boss or certain subjects (now where’s that TPS report?). For any search you perform often, just save the search for quick access. Click on Search Folders in the left navigation menu, select “New Search Folder,” and then either use the wizards or manually customize the search to your specifications. If you receive a high volume of email, folders may not be realistic, and tracking down relevant messages can be a chore. Outlook can group emails into conversations, so that a single click shows all related messages together. You can set this on a global or per-mailbox basis by going to the View tab and ticking “Show as Conversations”. Click the “Arrange By:” bar at the top of the message list and select “View Settings…” from the dropdown menu to configure additional grouping options. Quickly save emails as files. If you want to save certain emails for posterity, you have a few methods at your disposal. While you can individually save any email through the File > Save As… menu (options: text, HTML, Outlook Message format or .msg, HTML, .mht), it’s far faster to save emails by dragging them to the desktop or Windows Explorer. This will save them in Outlook’s proprietary .msg format, with the subject as the file name. Hope this helps. After reading this, you’ll be zipping out emails as fast as they come in.